We have a new juicer and it is awesome. We've been enjoying fresh orange juice, courtesy of our extremely prolific orange tree, for months. 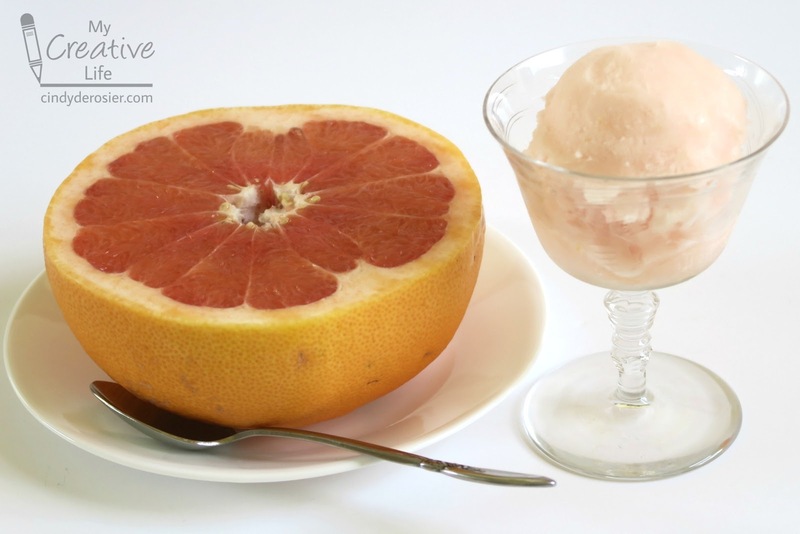 When our neighbors gave us grapefruits from their extremely prolific grapefruit tree, we popped them right in the juicer, added simple syrup and a little zest, and put it into our ice cream maker. The result? The most delicious sorbet ever. Combine the sugar and water, stirring until the sugar is completely dissolved. Cool this mixture completely. Add the grapefruit juice and the zest to the cooled simple syrup and stir. Pour the mixture into an ice cream maker and freeze until slushy (about 25 minutes). Transfer the slushy sorbet to a storage container or into popsicle molds, then freeze until it is firm (about 2 hours). Enjoy!